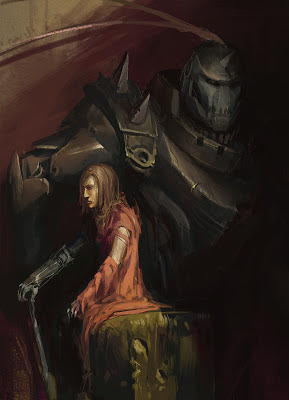 Late night sketch; a tribute to one of my favorite anime of alllll timmmee, Fullmetal Alchemist! As a side note.. Dang, I find myself pretty busy these days! Not as busy as when I'm in school of course, but pretty preoccupied nonetheless. Recently acquired an internship at Section Studios (yay!) and spend my time there most of the week, more exhausting then I expected haha. On top of that I still have homework! During break!! WHY! That´s a nice armor. Go Jason, go!